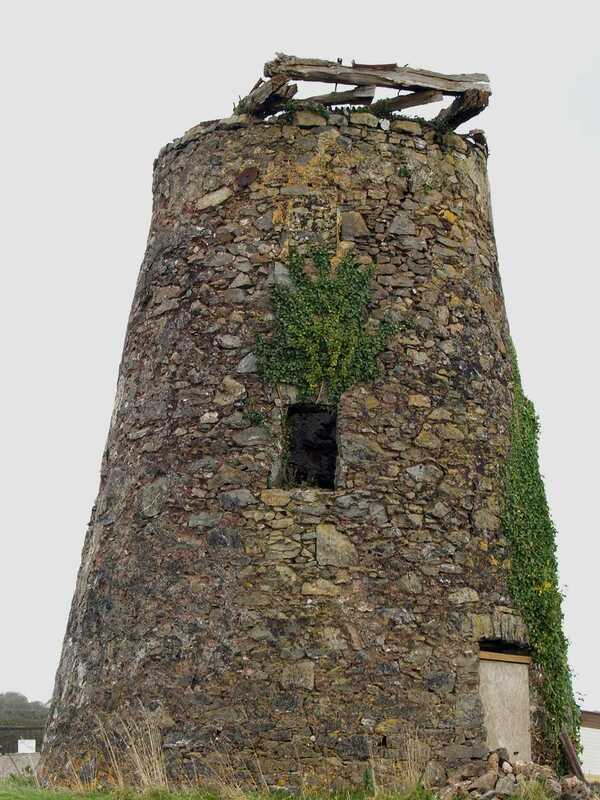 Gaerwen (formerly Llanfihangel Ysceifiog) Windmill - Melin Sguthan (also known as Melin Undeb (Union Mill)) on the Isle of Anglesey (Ynys Môn) in North Wales. 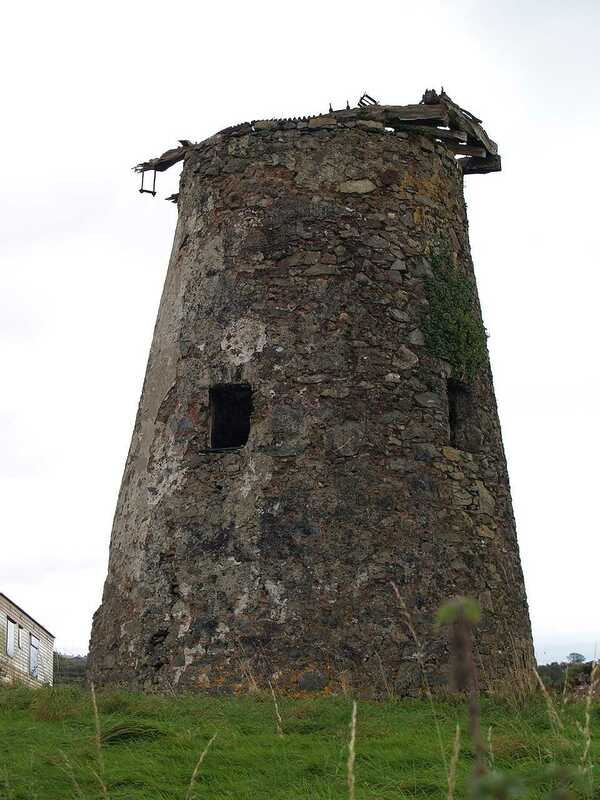 Gaerwen, Melin Sguthan Windmill - October 2009. 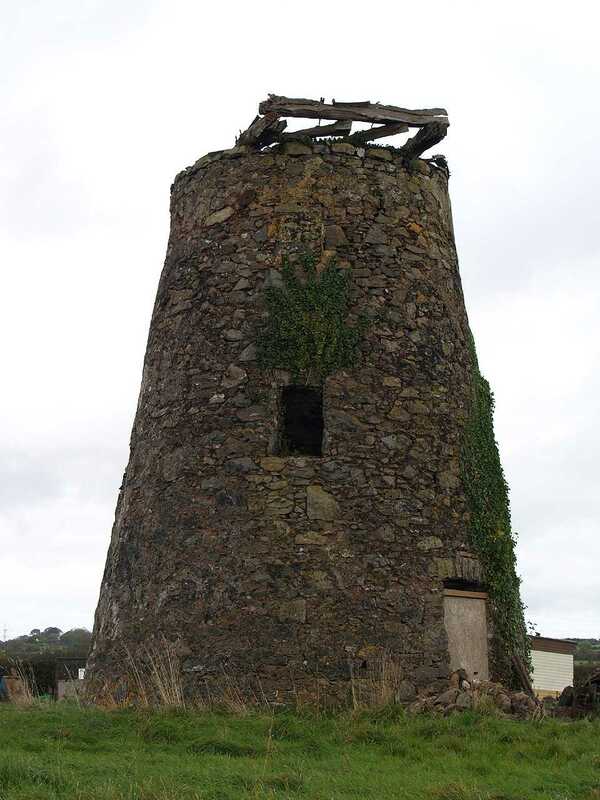 Built in the late 18th century Melin Sguthan was also known as the Union Mill (Melin Undeb) the windmill stopped working in 1913. 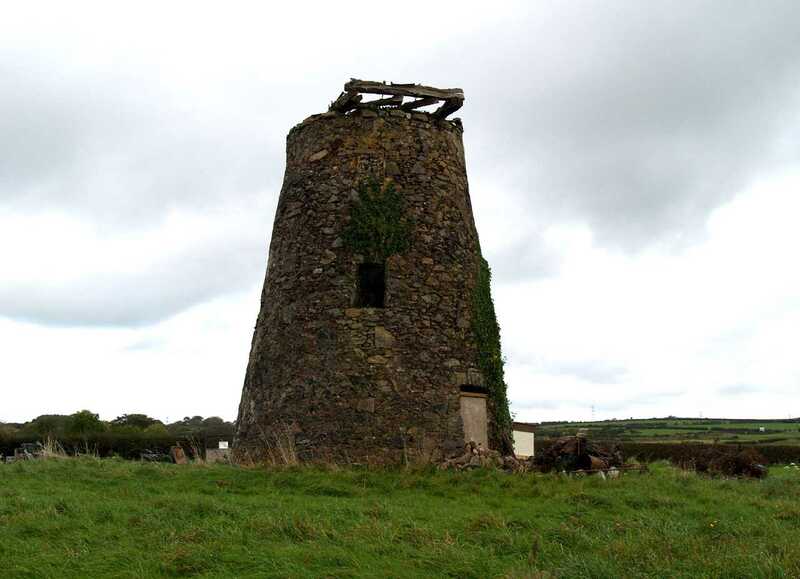 I believe that in 1881 William Williams aged 58 and born in Pentraeth may have been the Miller at this mill. He is recorded as being a miller, grocer and flour dealer (corn). He was living in a property named American Street (house and shop). 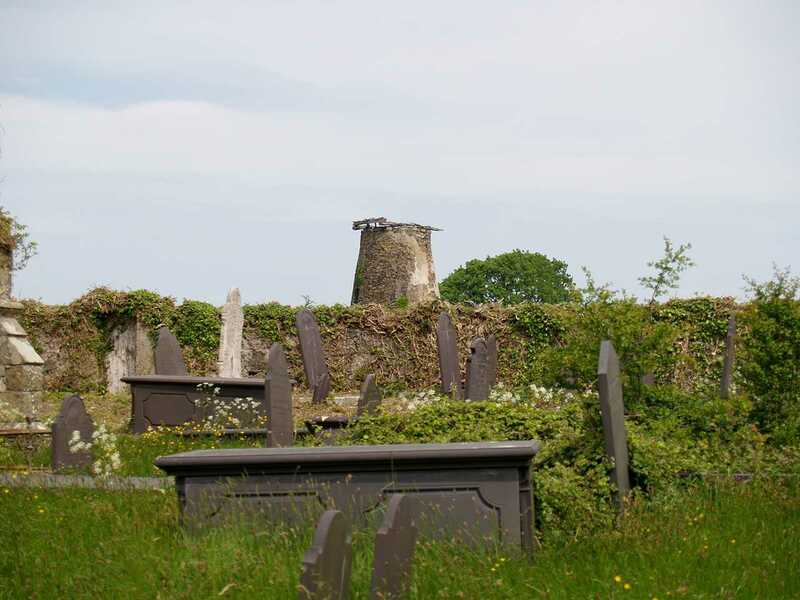 As two millers lived in the village at that time, and one (Rowland Williams) lived in a mill next to Maengwyn property, and one of the mills is named Melin Maengwyn, it seems likely to me that William Williams was the miller at this mill, and Rowland Williams the miller at Melin Maelgwyn. Interesting to note that on the 1881 census in this small village there were no less than six flour dealers. When I photographed the remains of the Mill in October of 2009 it had just been sold to a builder from Caernarfon - who I am led to believe intended converting it to a dwelling. 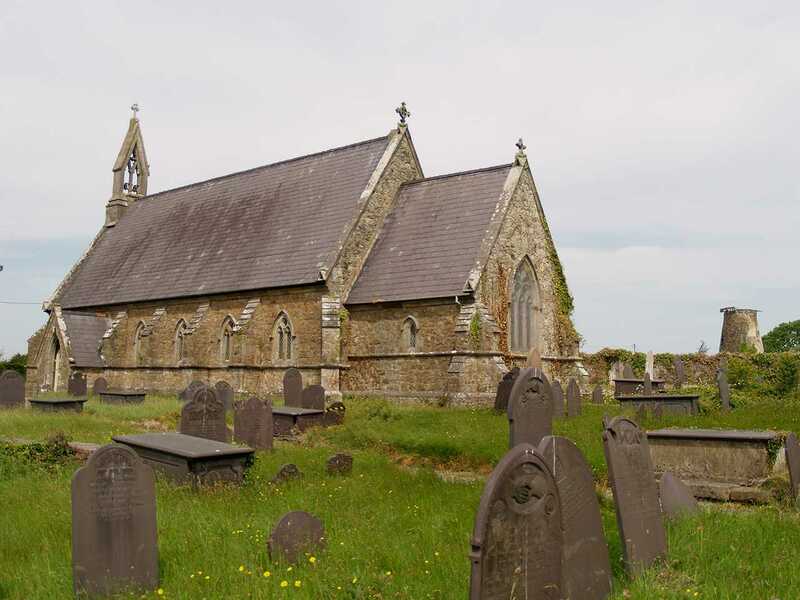 Llanfihangel Ysceifiog Church - with Melin Sguthan Windmill in the next field - all is now at rest!